2,503 sq. ft lot. Unimproved raw land on paper street just off of Beverly Glen Blvd in Bel Air. There are no utilities and limited access. Zoned LARE40. No reports. 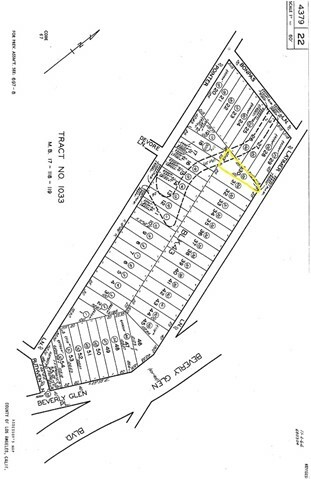 Can be purchased with adjoining lot APN#4379-022-029, also listed for sale.